According to a recent survey by RP data, sixty per cent of Australians believe that now is the perfect time to buy a house. If you’re with the majority, you’ll first need to begin saving for a home loan deposit. You’re probably wondering how much you need to save before you can secure a home loan for your dream property. Well, the answer depends. Different lenders have different deposit requirements. Some will accept as little as 5% for first home buyers; others won’t. If possible, we suggest aiming for a 20% deposit, or more. If you have less than a 20% deposit, most lenders will require you to purchase Lenders’ Mortgage Insurance. This one-off fee protects lenders if you fail to make repayments. As well as a deposit, many lenders will require you to demonstrate regular savings over a period of three or more months. The more you save, the smaller your required loan will be, and the smaller your mortgage repayments will be. And stick to it! Calculate how much you can realistically save each week or fortnight, and put that money into your savings account as soon as you get paid. That way, you won’t be tempted to spend it on anything else. These benefits may help you pay back your debt faster, which means more money toward your home loan deposit. 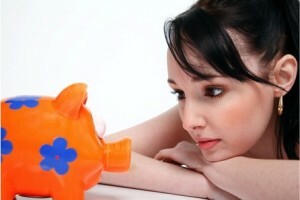 With a high interest savings account, you can earn interest as you save. You could even apply for your home loan sooner! Opt for a high interest savings account that you can access easily (preferably through online banking). If you’re keen to get into the property market now and don’t have enough deposit saved, there are other options available – check out our four No Deposit Options. When you’re ready to get the mortgage organised, Our Mortgage Options will take the hard work out of reviewing the many options and doing all the paperwork to apply for your home loan. Give us a call on 1300 700 496 or send us an email to get the ball rolling. It’s a totally free service.